Rather than using an extensile anterior approach, a minimally invasive anterior two-incision approach can be safely utilized for the repair of chronic distal biceps tendon ruptures. 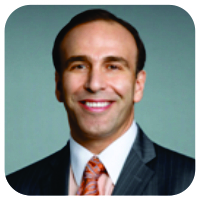 Mission Peak Orthopaedics, 39350 Civic Center Drive, Suite 300, Fremont, California 94538, U.S.A.
Introduction: Rupture of the distal biceps brachii results in significant weakness and limitation of function in those affected. Acute ruptures of the biceps tendon are generally best treated with early repair, ideally within 3weeks of injury. 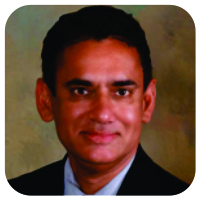 The preferred treatment of chronic ruptures is still uncertain. Case Report: We present a case of a chronic distal biceps tendon rupture repaired with a novel, two-incision, minimally invasive anterior approach utilizing an Achilles tendon allograft and cortical button fixation, in a patient with a high demand occupation as a cabinet maker. Conclusion: Numerous surgical techniques have been described for the repair or reconstruction of chronic distal biceps ruptures. Most described techniques have utilized an extensile anterior approach or an extensile anterior approach combined with another posterolateral incision. We believe that this minimally invasive approach allows for better cosmesis and quicker recovery and return to work in patients with high demand occupations. 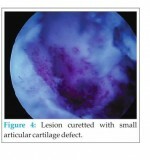 Keywords: Biceps tendon rupture, chronic, minimally invasive, 2-incision, anterior, allograft. Rupture of the distal biceps brachii tendon is a relatively uncommon injury that may nonetheless result in significant weakness and limitation of function in those affected. Although partial ruptures of the distal biceps tendon have been reported in females, complete ruptures occur almost exclusively in males, most often between the ages of 30 and 50 years. The most common mechanism of injury is a single event in which an eccentric muscle contraction occurs after a sudden or unexpected extension force is applied to an elbow which is typically flexed to 90° . As the primary supinator and one of the major flexors of the forearm, distal biceps ruptures can result in a loss of up to 36% of flexion strength and up to 60% of supination strength, as well as 47% loss of supination endurance compared with the unaffected extremity [2, 3]. Therefore, this can be a significantly debilitating injury, particularly in those patients whose occupations require frequent heavy lifting or labor. Acute ruptures of the biceps tendon are generally best treated with early repair, ideally within 3 weeks of injury. Several studies have documented the success of early repair in restoring flexion and supination strength [1, 4, 5]. On the other hand, the preferred treatment of chronic ruptures is still uncertain. Attempted primary repair of chronic ruptures can often be problematic, as tendon excursion is limited by retraction, fibrosis, and tissue atrophy, making mobilization of the musculotendinous unit extremely difficult if not impossible . Chronic ruptures are also associated with significantly higher complication rates, including nerve injury, wound infection, and heterotopic ossification . Numerous surgical techniques have been described for the repair or reconstruction of chronic distal biceps ruptures. These techniques include use of both single and dual incisions, suture anchors, cortical buttons, interference or tenodesis screws, and transosseous tunnels . Techniques using both autografts, including semitendinosus, fascia lata, palmaris longus, and allografts, such as Achilles tendon grafts, have been utilized. Although allograft repair of chronic distal biceps ruptures has been previously described, prior techniques have most often utilized an extensile anterior approach or an extensile anterior approach combined with another posterolateral incision . We present a case of a chronic distal biceps tendon rupture repaired with a two-incision, minimally invasive anterior approach utilizing an Achilles tendon allograft and cortical button fixation. The patient provided written informed consent for print and/or electronic publication of this case report. No potential conflicts of interest exist in the writing of this report. A 54-year-old right hand dominant Caucasian male cabinet maker was referred for evaluation and treatment of a left distal biceps tendon rupture that occurred 22 months before initial orthopedic evaluation. The patient reported that a heavy door to be installed at his job site fell toward him. He reached out with his left arm and tried to catch the door. As he did so, he felt an immediate sharp pain and tearing sensation in his left elbow. Over the next week, he noted the development of significant swelling and ecchymosis in the left forearm and elbow. He reported that injury to his employer, but was not referred for medical attention. He continued working despite the swelling and pain, relying mostly on his dominant arm to perform his job duties. Over the next several months, the patient noted increasing weakness of elbow flexion and supination and increasing deformity of his left biceps relative to the right side. On presentation, he reported he was unable to lift objects weighing more than 1–2 pounds and he was not able to flex or supinate his forearm without pain and weakness. He also reported muscle spasm in the left bicep muscle and significant atrophy of the left biceps muscle compared to the right. His main complaint was a profound weakness, specifically with supination, and to a lesser degree with elbow flexion, to the point where he was forced to rely on his right arm for both work-related activities and activities of daily living. He denied any prior history of elbow pain or weakness before his injury. Physical examination of the left upper extremity revealed an obvious deformity of the biceps with significant proximal retraction and atrophy of the muscle belly relative to the opposite side (Fig. 1).Maximum biceps circumference was 32.5 cm in the right arm compared to 29.5 cm in the left arm in the resting position. Palpation revealed tenderness over the biceps muscle belly, as well as over the antecubital fossa. There was also tenderness to palpation over the proximal radius and the radial tuberosity. The biceps tendon was not palpable at the musculotendinous junction or in the antecubital fossa. Range of motion (ROM) of the elbow was symmetric from 0 to 135° of flexion bilaterally. The patient reported pain with active but not passive ROM of the left elbow. He did not report pain with active pronation or supination of the forearm. Pronation and supination were90°, respectively, and were symmetric bilaterally. Strength testing revealed 3/5 strength with left elbow flexion and 3/5 strength with left elbow supination. Spasm of the biceps brachii was noted with attempted elbow flexion and supination against resistance. Sensory testing to light touch and pinprick revealed decreased sensation in the medial aspect of the forearm extending from the elbow to the distal 1/3 of the medial aspect of the forearm. Sensation on the lateral side of the forearm was intact. 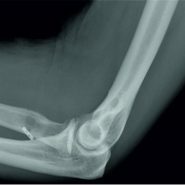 Anteroposterior, oblique, and lateral radiographs of the left elbow were unremarkable. Magnetic resonance imaging (MRI) scan of the left arm showed a chronic left distal biceps tendon rupture with 17 cm of retraction of the biceps tendon proximally. The retracted stump of the tendon was visualized at the junction of the middle and distal one-third of the humerus, surrounded by edema. There was also some evidence of lateral epicondylitis as well as an interstitial tear of the common extensor origin of the forearm involving 50% of the tendon thickness. An MRI of the elbow had not been obtained. Pre-operative assessment of elbow function utilizing Mayo Elbow Performance Index(MEPI) and disability of arm, shoulder, and hand questionnaire (DASH) [9, 10] was measured and compared with post-operative values used to evaluate clinical outcome. In the context of the patient’s symptoms, and in conjunction with the clinical and radiographic findings, surgical reconstruction utilizing Achilles tendon allograft augmentation through a two-incision anterior approach was recommended. Our preferred technique involves exposure and preparation of the radial tuberosity through a volar transverse incision, followed by location of the biceps tendon stump through a second, more proximal transverse incision, suture of Achilles tendon allograft proximally, and finally, tensioning and fixation of the allograft to the radial tuberosity with a trough and cortical button. The patient was positioned supine with his left elbow extended on a hand table. After prepping and draping, a well-padded sterile tourniquet was wrapped as proximally as possible around the left upper arm and after Esmarchexsanguination of the arm was inflated to a pressure of 250 mmHg. Under 2.5x loupe magnification, a transverse 2.5 cm incision was made on the volar aspect of the forearm, 3.5 cm distal to the flexion crease of the left elbow, in line with the expected location of the radial tuberosity. The deep fascia of the forearm was identified and incised, exposing the interval between the brachioradialis radially and the pronator teres ulnarly. Branches of the lateral antebrachial cutaneous nerve identified proximally overlying the brachioradialis were mobilized laterally and protected. Blunt digital dissection was used to facilitate the development of the interval. The brachioradialis was retracted laterally using a lateral retractor and the pronator teres medially using an army-navy retractor. The location of the radial tuberosity was confirmed by digital palpation while the forearm was pronated and supinated. After this was done, soft tissues consisting of remnants of the biceps tendon stump and periosteum were elevated using a blunt periosteal elevator to fully expose the bony radial tuberosity. Remnants of degenerated tendon and periosteum were excised with a rongeur. Once the radial tuberosity had been fully exposed, a moist sponge was placed into the woud and attention was turned to locating the biceps tendon stump. The biceps muscle was palpated proximal to the antecubital fossa. A transverse incision was made at the approximate location of the musculotendinous junction. The muscle belly of the biceps was found to be significantly scarred proximally. The biceps tendon was encased in firm scar tissue with appeared to be in continuity with the deep fascia of the arm and remnants of the lacertusfibrosus. After dissection, only minimal native biceps tendon was able to be identified, extending for only 1–2 cm distal to the biceps brachii muscle belly.An Allys clamp was then placed on the retracted stump. The biceps brachii was then meticulously dissected free from scar tissue circumferentially to facilitate maximal excursion and the Allys clamp was then used to deliver the biceps out of the proximal wound (Fig. 2).A fresh-frozen Achilles tendon allograft (Allosource, Centennial, CO) measuring 16.5 cm × 1.2 cm was then thawed and the calcaneal bone block removed. The necessary graft length was estimated by laying the graft across the biceps muscle with the fan-like portion of the graft proximal and the tendinous portion located distally. We prefer to suture the allograft to the native biceps muscle-tendon unit proximally and estimate tension and necessary graft length with the elbow in approximately 45° of flexion before distal fixation into the radial tuberosity. After estimating appropriate tension, the distal tendinous portion of the graft was trimmed such that the length was felt to be appropriate to reach the radial tuberosity, and the distal 2 cm of the graft passed easily through a 7-mm cylindrical graft sizer.The proximal fan-like portion of the graft was then sutured to the biceps brachii with interrupted No. 2 Fiber wire sutures (Athrex, Naples, FL) (Fig. 3). Buried horizontal mattress sutures were placed through the center of the biceps to secure the central portion of the graft to the native biceps to add strength to the construct. Once the graft was secured proximally, manual traction was placed on the distal end of the construct to evaluate strength. No tearing of either the graft or the biceps was observed to occur. A Fiberloop suture (Arthrex, Naples FL) was then placed through the distal portion of the allograft tendon such that the two free ends of suture exited the distal end of the tendon. A line was marked on the allograft tendon 1 cm from the end to help visualize the tendon docking into the radial tuberosity. A Biceps Button (Arthrex, Naples, FL) was then attached to the free ends of the suture. One limb of suture was passed through one side of the Biceps Button and back through the opposite side. The other suture limb was threaded through the button in the same manner, starting on the opposite side as the first suture limb. Care was taken to ensure that the suture limbs were not tangled by placing tension on each of the sutures such that the button slid freely on the sutures. The allograft was then retrieved through the proximal incision, tunneled in a subcutaneous fashion distally and retrieved through the distal incision (Fig. 4). Retractors were then replaced in the distal wound to visualize the radial tuberosity. The arm was placed in maximal supination to protect the posterior interosseous nerve, which also brought the tuberosity directly into view. A 2.7 mm spade-tipped guide wire was then drilled into the center of the radial tuberosity through both the anterior and posterior cortex. A 7.5 mm acorn reamer was then used to ream only the anterior cortex to create a bone socket for placement of the allograft tendon.The size of the reamer selected was purposely slightly larger then the circumference of the tendon graft to accommodate later adjunctive fixation with an interference screw. Bony debris was meticulously removed using lavage and irrigation. The biceps button was then passed through the posterior cortex of the radius under direct visualization. With the elbow in 45° of flexion, the two free ends of the suture attached to the button were then tensioned, allowing the button to “flip” against the posterior cortex of the radius and advancing the Achilles allograft into the radial tuberosity. Using an arthroscopic knot pusher, sequential square knots were tied against the posterior cortex of the radius. A 7mm × 10 mm PEEK interference screw (Arthrex, Naples, FL) was then placed into the trough adjacent to the tendon to provide adjunctive fixation. The elbow was then ranged and the repair was stable from 30 to 130° of elbow flexion and through full pronation and supination. The wounds were copiously irrigated before release of the tourniquet. After hemostasis was achieved, subcutaneous closure was performed with 2–0 vicryl suture and both transverse skin incisions were closed with running subcuticular 4–0 Prolene. The patient was placed into a long-arm fiberglass posterior splint with the elbow at 90° of flexion and neutral forearm rotation. No drains were utilized. Post-operative neurovascular exam revealed no deficits. The splint and sutures were removed on post-operative day 10 and the patient was placed into a hinged elbow brace with an extension block at 30°. Post-operative radiographs confirmed the location of the bone socket at the location of the radial tuberosity as well as the position of the biceps button against the posterior cortex of the proximal radius (Fig. 5).A supervised physical therapy program was initiated that permitted passive and active-assisted ROM and which gradually advanced the patients elbow extension. Resisted motion and strengthening were initiated 3 months after surgery. At 5 months after surgery, the patient was returned to modified work duties consisting of a 5-pound weight restriction on the left arm. He continued to progress with strengthening and at 9 months after surgery was returned to his regular duties as a cabinetmaker. Although he still reported some slight weakness in the left arm compared to the right, he was subjectively satisfied with the outcome of the surgical procedure and indicated that he would choose to have the same operation performed again. At 10 months after surgery, his active ROM was 0–135 of elbow flexion and 90 of pronation and supination. Maximal resting biceps circumference was improved to 31.5 cm on the left side compared to 32.5 cm on the right side. Post-operative MEPI score was 100 compared to pre-operative score of 65. With the MEPI scoring system, a lower score indicates higher disability. The post-operative DASH disability/symptom score was 2.5, compared to a preoperative value of 15.Post-operative DASH work module score was 12.5 compared to 100 preoperatively. With the DASH scoring system, a higher score indicates higher disability. The patient’s preoperative DASH work module score indicates that the patient was unable to perform any of his work-related activities before the surgical procedure, whereas postoperatively he was able to return to work with minimal symptoms. Post-operative incisions were cosmetic and muscle contour was significantly improved compared to pre-operative status (Fig. 6). Numerous studies have documented the importance of the distal tendon of the biceps brachii in elbow flexion and forearm supination strength as well as in forearm supination endurance [1, 4, 5, 11, 12].Although surgical intervention can be challenging for both acute and chronic ruptures, operative treatment is generally recommended to avoid chronic deficits in endurance and strength. In chronic cases, repair is even more technically demanding because the musculotendinous unit retracts and the end of the tendon often atrophies or forms atretic scar tissue, making reattachment to the radial tuberosity difficult, if not impossible. Several techniques have been described to treat chronic ruptures, including attachment of the tendon to the brachialis, use of autologous semitendinosus, fascia lata, or flexor carpi radialis grafts [13, 14, 15]. Attachment of the tendon to the brachialis is suboptimal because although it may improve flexion strength, supination weakness, and endurance persists . The other techniques involve harvest from a separated surgical site and carry the risk of associated donor site morbidity . Other techniques using allograft tissue, including Achilles tendon, have also been described [8, 17], but involve an extensile anterior approach with extensive soft tissue dissection. This type of extensile anterior approach can result in lateral antebrachial cutaneous or superficial radial nerve paresthesia, as well as persistent anterior elbow pain . Two-incision, muscle splitting techniques with transosseous fixation have also been utilized in both acute and chronic ruptures . These techniques, originally devised to decrease the risk of posterior interosseous nerve palsy, can be more time-consuming, technically demanding and continue to carry the risk of posterior interosseous nerve injury and radioulnar synostosis . Our technique involves the use of two minimally invasive, transverse, and anterior incisions, which we feel offers many advantages. Our technique minimizes soft tissue dissection and trauma, especially around the radial tuberosity, resulting in less risk of cutaneous nerve paresthesia, and posterior interosseous nerve palsy. The proximal incision is made only as long as necessary to deliver the retracted biceps tendon, and the scarred biceps can easily be freed using blunt or limited soft tissue dissection. This minimally invasive approach does carry some risks, including limited visualization of the lacertus fibrosus and the neurovascular bundle proximally. In certain cases, the neurovascular bundle can become scarred to the torn biceps brachii musculotendinous junction proximally,and care must be taken in protecting the bundle while freeing and dissecting the biceps muscle.Distally, attention must be paid to avoidance of traction on the posterior interosseous nerve and the lateral antebrachial cutaneous nerve during the exposure of the radial tuberosity, as well as identification and cauterization or ligation of the recurrent vessels of the Leash of Henry. The minimally invasive nature of the procedure reduces post-operative swelling and blood loss, enhancing recovery, and resulting in improved cosmesis. The approach can easily be converted to an extensile approach if necessary. In this particular patient with a high-demand occupation, despite the long interval between injury and surgery, this minimally invasive reconstructive technique provided excellent relief of symptoms, significant restoration of flexion and supination strength and endurance, and provided the patient with an excellent subjective and objective functional outcome, allowing him to resume his usual occupation as a cabinet maker. Rupture of the distal biceps brachii tendon an injury that may result in significant weakness and limitation of function in those affected, particularly in patients whose occupations require frequent heavy lifting or labor. Most techniques for repair of chronic distal biceps ruptures involve extensile anterior approaches or anterior approaches combined with posterolateral approaches. We have presented a case of a chronic neglected distal biceps tendon rupture repaired with a novel, minimally invasive, and anterior two-incision approach in a patient with a high demand occupation. This minimally invasive reconstructive technique provides excellent relief of symptoms, significant restoration of flexion and supination strength and endurance, and an excellent subjective and objective functional outcome, allowing earlier return to work for patients with high physical demand occupations. Rather than using an extensile anterior or combined approach, a minimally invasive anterior two-incision approach can be safely utilized for the repair of chronic distal biceps tendon ruptures. This novel approach can improve cosmesis and enhance recovery time in patients with high physical demand occupations. 1. Ramsey M. Distal biceps tendon injuries: Diagnosis and management. JAAOS 1999;7:199-207. 2. Baker BE, Bierwagen D. Rupture of the distal tendon of the biceps brachii operativeversus non-operative treatment. J Bone Joint Surg Am1985;67:414-7. 3. 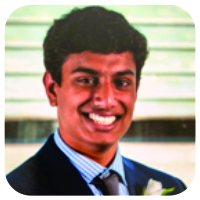 Schmidt C, Brown B, Sawardekar PJ, DeGravelle M Jr., Miller MC. Factors affecting supination strength after a distal biceps rupture. J Shoulder Elbow Surg 2014;23:68-75. 4. Snir N, Hamula M, Wolfson T, Meislin R, Strauss EJ, Jazrawi LM, et al. Clinical outcomes after chronic distal biceps reconstruction with allografts. Am J Sports Med 2013;41:2288-95. 5. Morrey BF. Tendon Injuries about the Elbow. The Elbow and Its Disorders. 2nd ed. Philadelphia, PA: WB Saunders; 1993. p. 492-504. 6. Hamer MJ, Caputo AE. Operative treatment of chronic distal biceps tendon ruptures. Sports Med Arthrosc Rev 2008;16:143-7. 7. Kelly EW, Morrey BF, O’Driscoll SW. Complications of repair of the distal biceps tendon with the modified two-incision technique. J Bone Joint Surg Am 2000;82-A:1575-81. 8. McCarty LP, Alpert J, Bush-Joseph C. Reconstruction of a chronic distal biceps tendon ruptures 4years after initial injury. Am J Orthop 2008;37:579-82. 9. Hudak PL, Amadio PC, Bombardier C. Development of an upper extremity outcome measure: The DASH (disabilities of the arm, shoulder and hand) [corrected]. The upper extremity collaborative group (UECG).Am J Ind Med 1996;29:602-8. 10. Morrey BF, An KN, Chao EY. Functional Evaluation of the Elbow. The Elbow and Its Disorders. 2nd ed. Philadelphia, PA: WB Saunders; 1993. p. 86-9. 11. Chillemi C, Marinelli M, De Cupis V. Rupture of the distal biceps brachii tendon; Conservative treatment versus anatomic reinsertion-clinical and radiological evaluation after 2 years. Arch OrthopTrauma Surg 2007;127:705-8. 12. Freeman CR, McCormick KR, Mahoney D, Baratz M, Lubahn JD. Nonoperative treatment of distal biceps tendon ruptures compared with a historical control group. J Bone Joint Surg Am 2009;91:2329-34. 13. Hang DW, Bach BR, Bojchuk J. Repair of chronic distal biceps brachii tendon rupture using free autogenous semitendinosus tendon. Clin Orthop1996;323:188-91. 14. Morrey BF, Askew LJ, An KN, Dobyns JH. Rupture of the distal tendon of the biceps brachii. A biomechanical study. J Bone Joint Surg Am 1985;67:418-21. 15. 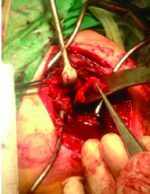 Levy HJ, Mashoof AA, Morgan D. Repair of chronic ruptures of the distal biceps Tendon using flexor carpi Radialis Tendon graft. Am J Sports Med 2000;28:538-40. 16. Klonz A, Loitz D, Wohler P, Reilmann H. Rupture of the distal biceps brachii tendon: Isokinetic power analysis and complications after anatomic reinsertion compared with fixation to the brachialis muscle. J Shoulder Elbow Surg 2003;12:607-11. 17. Sanchez-Sotelo J, Morrey BF, Adams RA, O’Driscoll SW. Reconstruction of chronic ruptures of the distal biceps tendon with use of an Achilles tendon allograft. J Bone Joint Surg Am2002;84:999-1005. 18. Failla JM, Amadio PC, Morrey BF, Beckenbaugh RD. 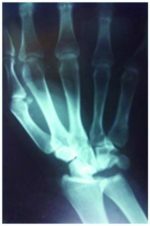 Proximal radio- ulnar synostosis after repair of distal biceps brachii rupture by the two-incision technique: Report of four cases. Clin OrthopRelat Res1990;253:133-6. How to Cite This Article: Kale A A, Jazrawi L M, Kale N K. Minimally Invasive Anterior Two-Incision Approach for Repair of a Chronic Neglected Distal Biceps Tendon Rupture. 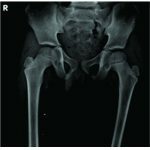 Journal of Orthopaedic Case Reports 2018 Sep-Oct; 8(5): 61-66.